Aso-ebi is a big deal here in Nigeria and nothing can chase it away any time soon. Regardless of tribe or religion, the importance of Aso-ebi to the average Nigerian socialite can’t be overemphasized. 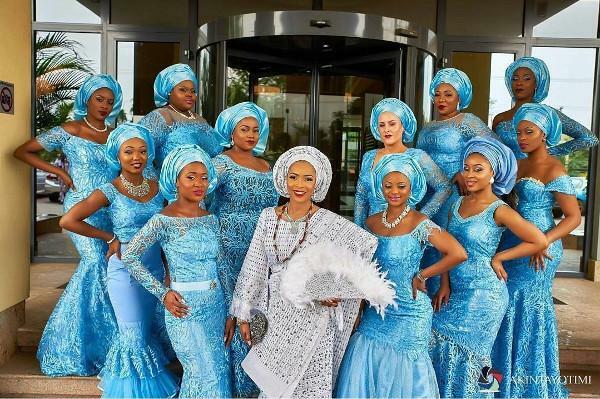 When it comes to slaying, Aso Ebi colours can make or break even the nicest of outfits.That’s why the bride and her bridal party must choose the trendiest of colours for their guests. Therefore, choosing the best Aso-ebi design/fabric for your event is very important, as you don’t want your guests and well-wishers remembering you badly or sending ill-wishes your way because what you sold to them, do you? All types of textiles and fabrics come in an array of material quality, therefore getting the best quality is often a matter of both price and market experience.Even when people are watching their pockets and are trying to be prudent, they like to buy quality stuff. So you should try as much as possible to present your well-wishers with something that will stand the test of time with reasonable consideration given to the price of what they’ve purchased. Ninety percent of guest who come to an event still want to wear the aso-ebi to another event or a different kind of function. Nobody will buy your aso-ebi if it’s quality is nothing to write about. Hence,go for quality.